Singer, actress and fashion icon Jane Birkin became synonymous with luxury handbags after a serendipitous encounter in 1981 with Jean-Louis Dumas, the late chief executive of Hermès, on an Air France flight from Paris to London. The story goes that Ms. Birkin was busy rifling through her straw tote bag, spilling its contents all over her seat partner, Mr. Dumas. After lamenting that no one made bags big enough for all her stuff, Jane inspired Mr Dumas, the great grandson of the founder of the Hermès brand, to create a bag that would be suitable for jet-setting women who don’t travel light. And voilà : the Birkin bag was born! 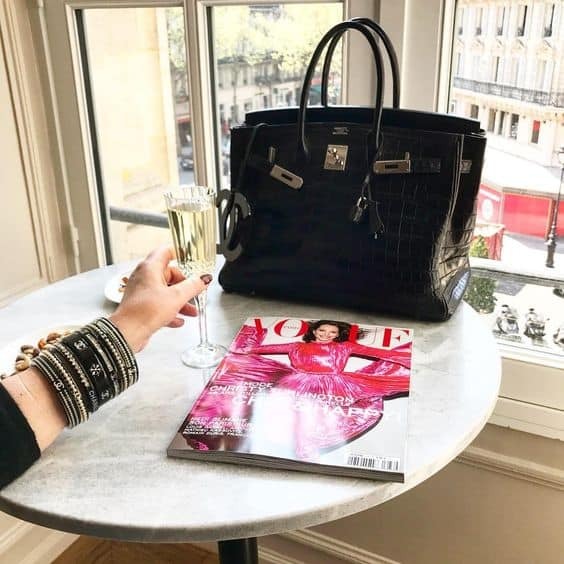 Today, it’s still one of the most cherished and yearned for accessories around the world – but its cost makes it unattainable to most, and the prices are rising every year, making the purchase of any Birkin an excellent investment. The proof? The world’s most expensive Birkin so far (a little fuchsia number with 18 karat gold and diamond hardware) was sold at a Christie’s auction house in Hong Kong for $222,000, smashing the previous record in Dallas, when a red Porosus crocodile Birkin with 18-carat white-gold and diamond ‘hardware’, sold for $203,150 ( £129,355). Some investment experts are actually advising that purchasing a Birkin generates a better return than buying gold! Given the incredible value of the bags, it makes sense that there are plenty of counterfieters out there trying to profit from the brand name, leading to several major arrests in recent years. But if you’re a vintage bag lover, savvy investor or obsessed fashionista, never fear: we’ve got 12 smart ways to spot a fake Birkin bag. 3. 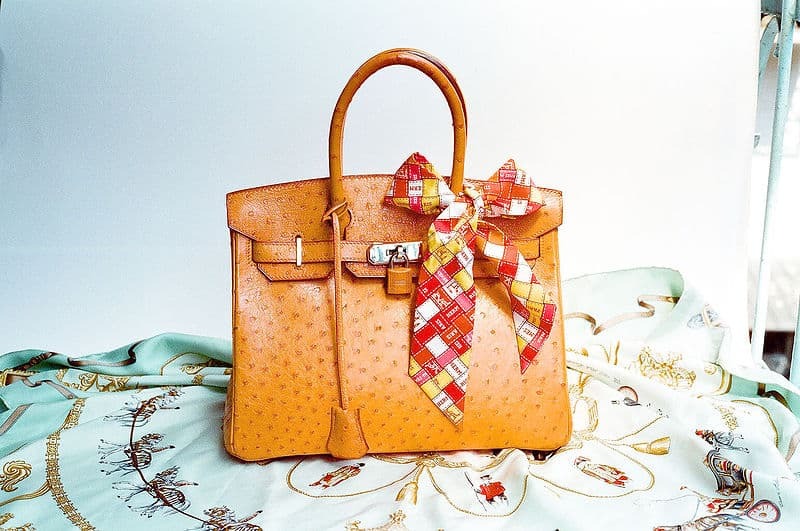 The so called “posture” of the Birkin reveals its authenticity. 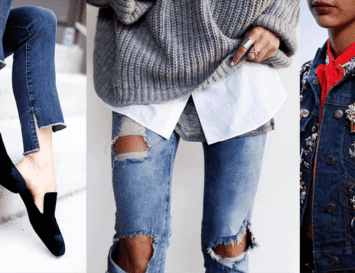 It stands up straight as a runway model, and never slouches. The bag remains so erect thanks to the quality leather that keeps it in constant shape. Bear in mind that the same goes for the handles, which stand straight up and down. Don’t forget to check the shape of your bag inside too: Birkins feature two interior pockets, a zipped pocket for valuables and an open pocket. As for the measures they are usually 25, 30, 35, 40 and 45 centimetres. Don’t be embarassed to sniff for the authenticity of your bag – the scent of leather will be one of the first giveaways that it’s original. 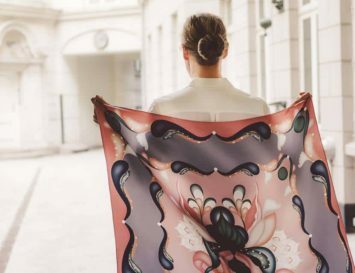 Each year, Hermès creates different colours in different leathers, the quality of which is so refined that it should never have a leathery smell. In fact, the leather takes up to a decade to dry out! 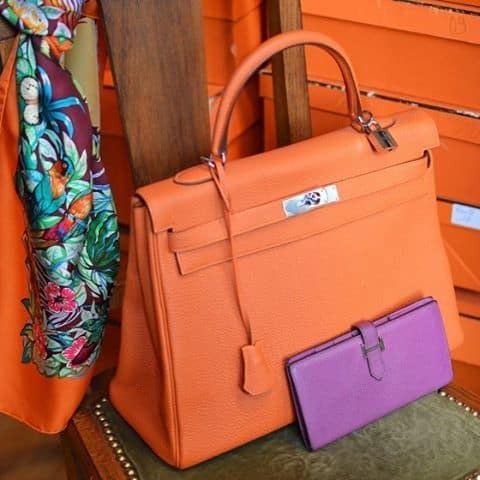 Also note that any colour dyed into the leather should match the highly limited and exclusive Hermès palette. Stitching is handmade by experienced artisans, so the thread may have some minute inconsistencies. But it will never, ever be messy or hanging. Take a further look at the stitches on the Birkin and you will see that they are slightly angled, tight and precise. The lining and interior of every Birkin is made with chevre leather, a goatskin that is grained and not smooth. Some bags may feature other material as the interior or lining, but they will always be of a high quality and similar to the leather of the exterior. Always check the colour schemes on the Hermès website to ensure the authenticity. This is one of the great hallmarks of all Hermès bags. Since 2000, both lock and keys have been stamped with the brand’s name and numbered. Remember that the numbers on the lock correspond with those on the keys. Don’t be misled by the style of numbering which has changed throughout the course of Hermès’ history. Counterfeiters normally use the numbers 121, 212, and 102. The movement of the toggle should be super smooth, so if you stick the key in and feel it’ a bit stiff, this is a definite red flag. Hermès attaches keys directly to a leather band: they are enclosed in a leather clochette that loops through the bag’s handle – so if you see key rings, run away! Finally, you’ll also know the bag is fake if the clochette is made up of two pieces of leather sewn together on three sides. Real bags are always made out of one piece of leather, folded at top and sewn at the sides. When you spot engravings that don’t have a crisp and refined look, that’s another clue that the bag may be fake. On the zipper of an authentic Birkin, the name Hermès is engraved on the metal pull with its lower half toward the leather pull. Zipping a real Birkin implies a motion that flows effortlessly. Hermès zips never flop down or hang down at a 90 ° angle from the zip line: they should remain parallel to the zipper at all times. 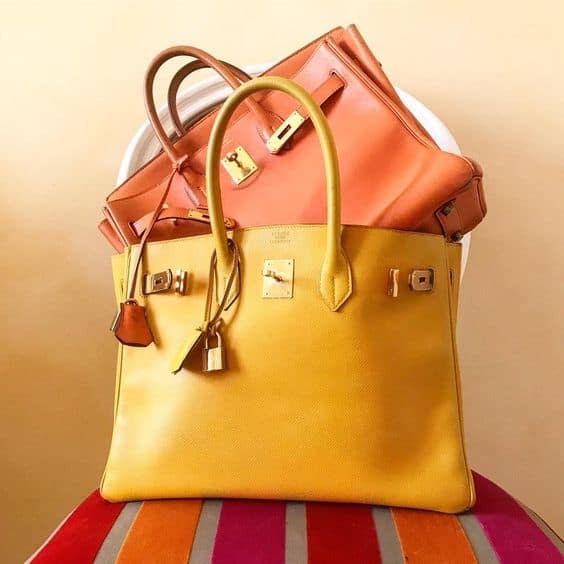 Authentic hardware on Hermès bags is either in gold or palladium, and features small markings to indicate it is a precious metal and will feel heavy and of a high quality. The hardware on authentic bags should never tarnish. Rarer bags feature brushed gold, silver, brushed silver, or ruthenium finishes. 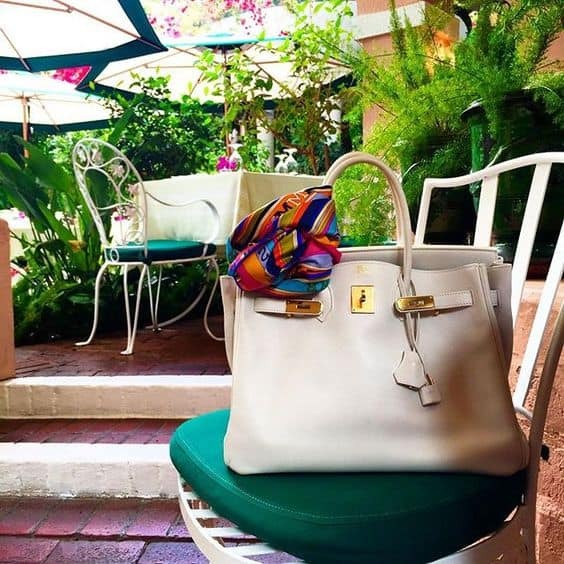 The Hermès Logo is a stamp on the bag that reads “Hermes Paris Made in France”. It is featured in a delicate and neat font that is not affected by the texture of the leather, and is properly centred, so if it looks blocky, irregular and placed unevenly, you’ve probably found a fake. The location of the logo can also be a giveaway: it should always be embossed just below the stitching. Many stamps of fake bags may be printed on or pressed in too far from the stitching. A secret stamp was introduced by the French brand in 1945, to date bags with letters of the alphabet. It began that year with A and ended, 25 years later, in 1970, with Z. Then the cycle began again, with the addition of a new notation. From 1971 through 1996, letters of the alphabet were surrounded by a circle. And from 1997 until very recently the letter has been surrounded by a square. The year 2016 has arrived at the letter T. This “blind” stamp also featured the artisan’s ID and an indicator of exotic skins (if applicable) – “square” for alligator, “..” for Niloticus crocodile, “Ã‹â€ž” for Porosus crocodile, and “-“ for lizard. On the Birkin this information was found on the underside of the tab strap. But everything changed in the last couple of years, surprising collectors, and confounding counterfeiters. Authenticity Cards do not exist in the world of Hermès! The brand never ever issued them. So if you’re given an orange authenticity card or hang tag while purchasing a Birkin bag, you’ll know it’s coming from counterfeiters. Hermès bags are never wrapped in plastic, as it suffocates the leather and causes cracking and damage to the material. 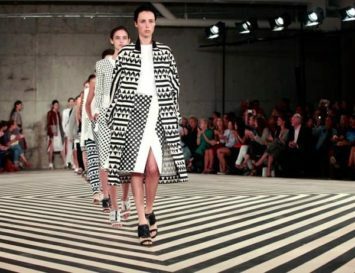 Bikins will come in a dust bag, which is of high quality and will feature a neat stitch count. The colour of the dust bag is tan velour, whilst newer ones are orange cotton flannel, and post-2007 dust bags are a beige and light brown Herringbone Toile. They usually have a dark brown Hermès logo on the material. Fake dust bags often come in grey with a burgundy stamp. Another important trait is that the drawstring is always brown and made of 100% cotton. Depending on when the dust bag was made, some may feature the Hermès logo inside either one or two rings. Last but not least, Hermès dust bags come with a rain cover, which is soft to the touch. There is no way you’ll find a real Birkin bag for cheap! The most affordable second hand bags may range around $10,000. If you find a Hermès bag for a couple thousand dollars, either you’ve found a highly damaged bag, a really stupid seller, or a fake item. As obvious as it may seem, always buy from a trusted dealer. 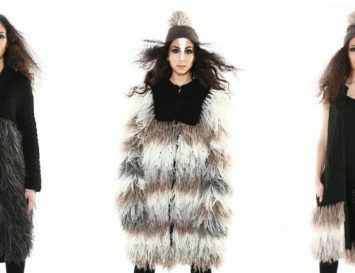 Eluxe has long advocated consulting and buying from the #1 expert in the field of vintage Chanel and Hemes: Catherine Bernier. She is a highly regarded private collector,who runs the Parisian shop Les 3 Marches de Catherine B. at n °1 rue Guisarde in St Germain, Paris. 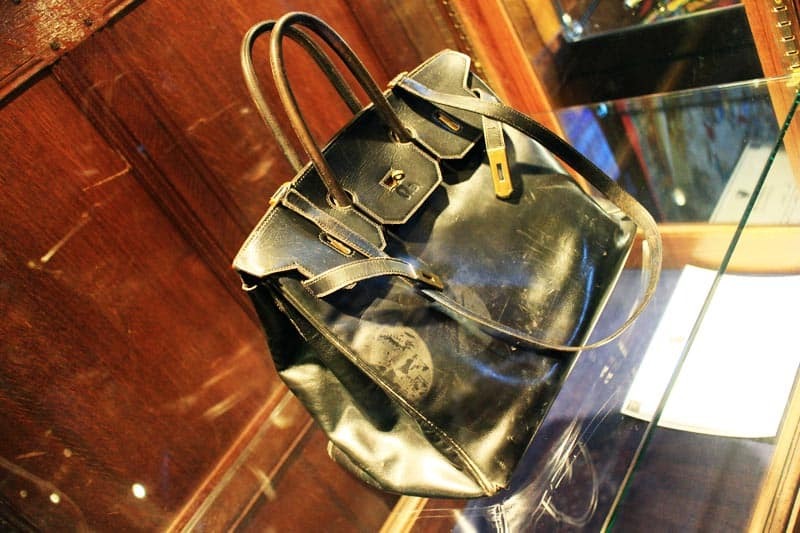 Catherine has been collecting Hermès and Chanel pieces for over twenty years and owns the first ever Birkin Bag, which was displayed at MoMA during the exhibition “Is Fashion Modern?” She won the very bag that was first owned and commissioned by Jane Birkin at an auction in 2000, when the actress sold it to raise money for an AIDS charity. While admiring it (below), you can observe the globetrotting life it enjoyed with its previous owner; it’s a bit battered and is marked adhesive residue, as Jane loved pasting travel stickers on her Birkin. This is also the only Birkin bag to have a shoulder strap – Jane asked for one so she could carry it on her shoulder whilst holding her baby. Advice doesn’t get much better than that!